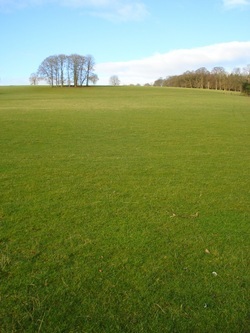 Picture this… You are standing in an emerald green field and ahead of you are rolling hills as far as the eye can see. From the distance they are beautiful multicolored pyramids, standing proud beneath the shining sun. You take a deep refreshing breath of air, and contemplate the joys of life…As you walk closer to the pyramids, however, something seems peculiar. Black and white dots swoop in to mar their perfection. What are these things that so rudely obstruct the view of your beautiful mountains? Are they birds? You take a few more steps, but soon have to cover your ears, as dissonant shrieks rise in a crescendo from the swooping fliers. Confused, but curious, you walk a little bit closer. Then stop. You quickly cover your nose, as the pungent smell of rot reaches out and steals the last fresh air to be had in your vicinity. You get a yard more before your unsuccessful attempt to simultaneously cover your ears and plug your nose forces you to a stumbling halt. Now you are close enough to see your beautiful hills. What had seemed a magnificent symphony of colors from afar has been revealed by close proximity to be heaping piles of endless trash. What is this, you wonder in dismay? What nightmare has replaced the beauty of before? It’s no nightmare…welcome to the landfill. While landfills as far as the eye can see may not be our reality at the moment, without proper management of household waste we may end up painting our future into a picture quite similar to the one described above. Currently, we use a number of imperfect waste management techniques, of which landfills represent only one example. We use incinerators, dump waste on the ground, and even ship some of our garbage to other countries for them to deal with. Obviously, many of our management techniques are more than simply unsatisfactory. They can pose health risks to humans, the environment, and other life. Not to mention, they can end up costing us quite a bit of money. We need to understand what the consequences are in regards to our household waste, so we can make more environmentally conscious decisions. People produce a lot of household waste. Not surprisingly, there are a lot of negative consequences that arise from this waste production. The average four-person household wastes about $600 per year in food, which in total, makes up a portion of the United States’ more than $100 billion food waste costs (Bloom, 2007). Much of the food that we waste is still good, and can either be used in subsequent meals, or be donated to those who would appreciate it. Waste contaminates surface water, groundwater, soil and air, and can harm humans, other species, and ecosystems (Waste, 2011). 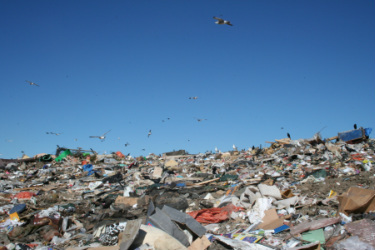 Ecosystems in areas around landfills can be altered by decomposing food waste. This can change the eating patterns of local animals, and pollute their drinking water (Dontigney, 2011). Concentrated waste attracts rodents and insects, which can harbor bacteria and parasites that may harm humans or other species (Waste, 2011). Some toxins released from waste, like mercury, can persist and accumulate in the environment. When these toxins enter marine ecosystems, they can be absorbed by fish, and later be consumed by humans and other animals. Only 10% of the 50 million cell phones replaced worldwide each month are recycled. If we recycled just 1 million of these types of phones, we could reduce greenhouse gas emissions in an amount comparable to removing roughly 1,368 cars from the road (DoSomething.org). By not recycling electronics, we are losing sizable amounts of precious metals, like silver and gold, to landfills (Carroll, 2008). Some Birth defects in humans have been linked to contact with heavy metals released by the burning of “…slick colored papers and synthetic inks,” in burn barrels (DEQ, 2009). The disassembling and improper discarding of electronics, like cell phones, can expose people to pollutants that could “…possibly contribute to cardiovascular disease and cancer” (Shader, 2011). The e-waste that we ship to other countries, like China, for dismantling, can have adverse health effects for the workers in these countries. This waste solution only puts others at risk. The list above comes nowhere close to representing the total sum of negative consequences surrounding household waste, and its poor management. We all play a part in creating the problem, so perhaps it’s time that we all take responsibility for our actions, and start managing waste properly. Take action today! Not only will it be good for you, the planet will thank you too!